The Geoportal represents the reference point and hub of "geo-localized" knowledge in support of regional and institutional activities of local governments that operate at the regional level of the individual citizen. The goal Planetek Italia is carrying out in collaboration with the "Service development of digital and geographic information systems " of the Emilia- Romagna is to ensure the dissemination , use and distribution of data, information and services is a geographical to the public that the staff of the local public administration and / or national . In the implementation we have complied with the more recent directives regional, national (CNIPA, Intesa GIS) and international (INSPIRE, OGC) in terms of interoperability. 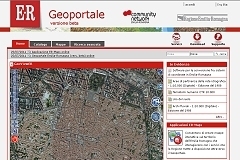 The Geoportal of the Emilia-Romagna is made from Planetek Italia, powered entirely Open Source (Plone, OpenLayers, Ratman) and exposes web services that are OGC and ISO standards natively such as "Web Map Service" (WMS), "Web Feature service" (WFS), "Web Coverage service" (WCS), "Web Processing service" (WPS) and manages services data catalog "catalog Service - Web" (CS-W) available to external clients automatically. 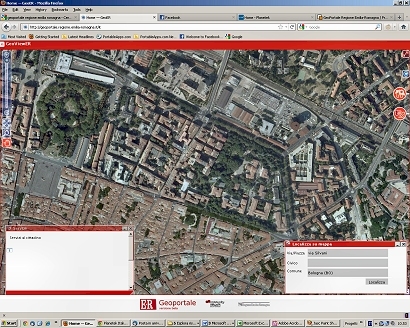 The decision to base the geospatial data publication system on open standards, the Open Geospatial Consortium (OGC) and International Standardization Organization (ISO), means that the regional administration can count on an interoperable platform for sharing their data both internally and with third parties, and this makes the system compliant to INSPIRE Directive requirements. services allowing spatial data services invoke. GeoER allows the consultation to external web users (anonymous or authenticated on FedERa, the Federate authentication system of Emilia- Romagna bodies) and internal users (authenticated into the system of Identity & Access Management, IAM) . 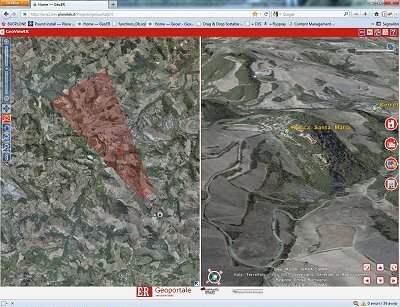 the identify of a feature mapping using the search function and spatial queries. GeoER has already been successfully submitted to a series of usability tests conducted by numerous users. The intention was to be able to grasp as soon as the need for improvement of the functionality provided by GeoER. Thanks to usability testing and taking into account user feedback, a number of enhancements have been introduced to the user interface which led to the current version. The Geoportal of Emilia Romagna was officially presented to the event CN-ER Burò 2011 on September 23rd in Ferrara. Read the article on the BLOG that talks about the Geoportal and this experience.